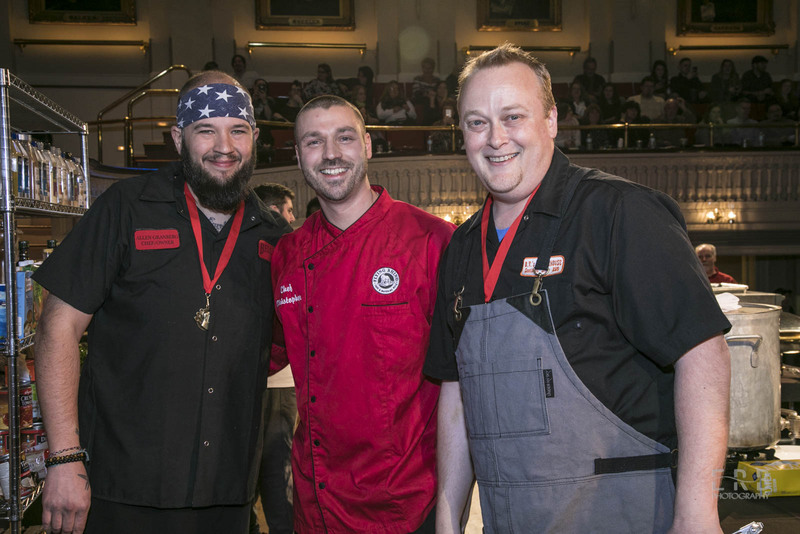 Executive Chef Christopher O’Harra, of Flying Rhino Cafe & Watering Hole, took home first place in the Judges’ Choice award at the Worcester’s Best Chef Competition over the weekend. The competition, which took place Jan. 29, offered judges and attendees the chance to sample food from a number of the area’s top chefs and vote for their favorites. O’Harra served up a coffee- and chipotle-braised pork shoulder, which wowed the judges and earned him the top spot in the Judge’s Choice category. His dish was also popular among event attendees, garnering him second place in the People’s Choice category. Chef Adam Hicks, of Depot Street Tavern, took first place in People’s Choice. Chef William Nemeroff, of The International, was the event’s overall winner, decided through an Iron Chef-style face-off between the top three Judges’ Choice picks. Congratulations to the winners, and all of the chefs who participated in this year’s competition!